Get ready for lots of sweetness! Meiji has put together their 3 most popular chocolates: Choco Baby, Marble Chocolate and Apollo Strawberry Chocolate in one big party bag! 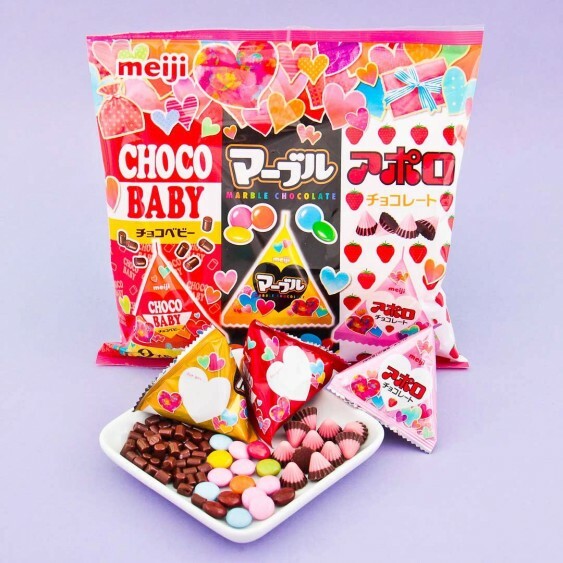 Inside you can find triangle shaped individual packages of the beloved chocolates of Japan. 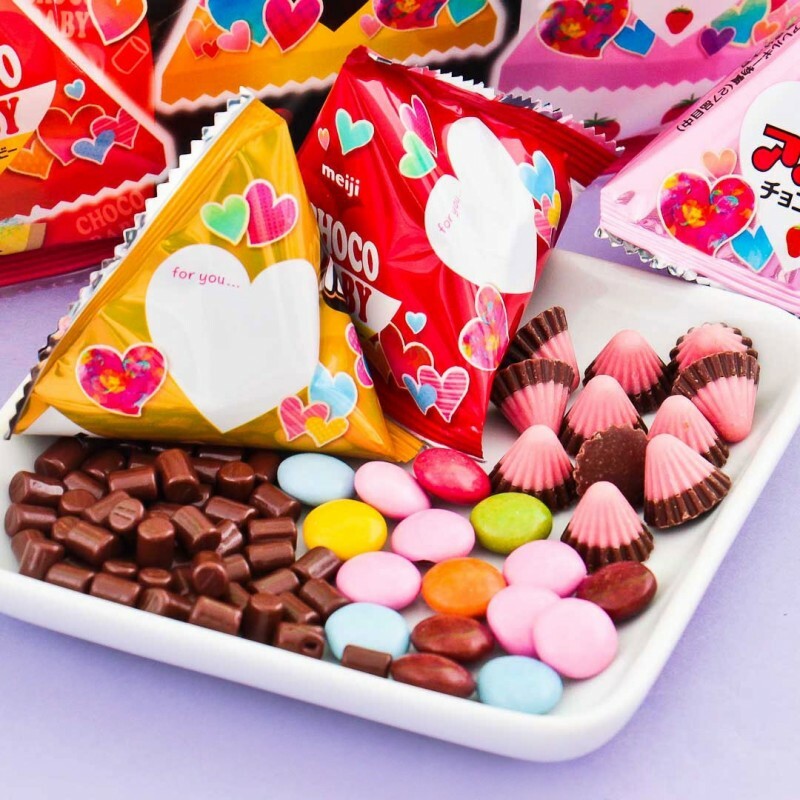 The little triangles make a perfect snack if you want to enjoy all the 3 types of chocolates alone, as they are small enough to slip in your bag. Or share them with your family and friends, and you can together try the famous and popular flavors of Japan!